KidsQuest Children’s Museum relocated to their newly renovated location which features hands-on exhibits allowing children to explore various aspects of sight, sound, touch, and discovery. The museum features many new exhibits including; The Sticks and Stone Outdoor Gallery, a toddler-friendly Splash Zone, the On The Go Gallery featuring a Big Rig semi-truck, a two-story Climber/ Sculpture, and Bellevue Mercantile, which all aim to educate and entertain children ages 0 to 9 years old. The new location sits right in the heart of the downtown Bellevue cultural hub for families – the Bellevue Regional Library, the Bellevue Arts Museum, Bellevue Square, and several parks are all within walking distance. 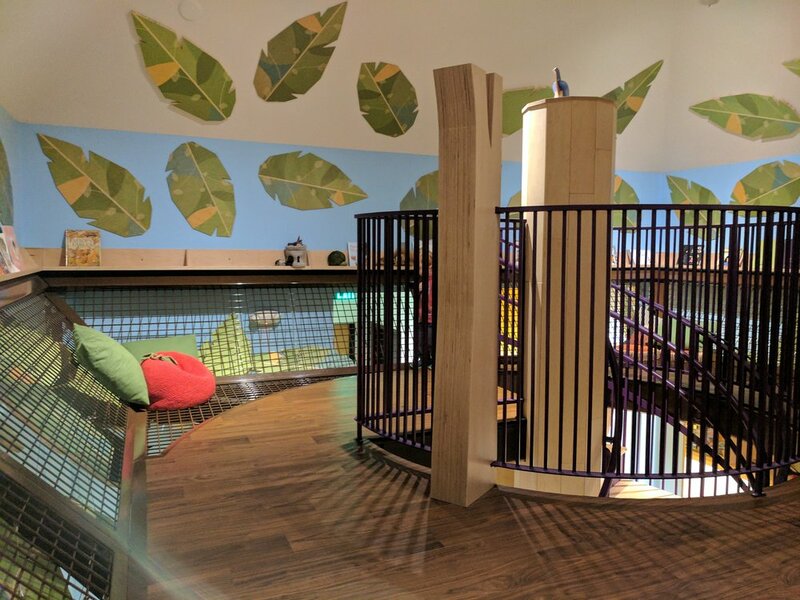 MLA Engineering was responsible for the structural design and extensive seismic retrofit of the existing building to convert it into the children’s museum. The project required new openings for doors and windows, upgrades to shear walls, and modifications and strengthening of floor elements to support the new exhibits. The full-size truck and two-story climbing frame also required careful coordination for installation. Banner Rendering courtesy of the Portico Group.